The eight best teams in the Tom Clancy’s Rainbow Six Pro League Asia-Pacific region will face off in Sydney on April 14-15, as part of the Pro League’s Season 7. The finalists will directly qualify for the Season 7 global Finals, which take place in Atlantic City, USA, May 19-20. These Season 7 Finals will bring together the eight best teams worldwide, competing for a total prize pool of US$275,000. 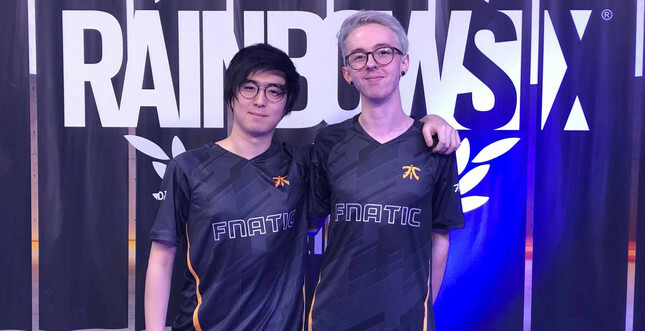 Among the teams participating in the Sydney based Asia-Pacific Finals is a prestigious new name making its very first appearance in the Tom Clancy’s Rainbow Six esports scene: Fnatic. Fnatic has acquired Mindfreak’s Australian roster, and will represent Australia at the Asia-Pacific Finals along with fellow Australian team ViewSonic.DarkSided. “We are delighted to welcome an organisation as renowned as Fnatic into the Tom Clancy’s Rainbow Six Pro League and to our esports scene globally, especially here in the Asia-Pacific region”, said Ubisoft EMEA esports director François-Xavier Dénièle. Fnatic CGO Patrik Sättermon said, “We’re thrilled to be redoubling our efforts in the region alongside our other operations. “Needless to say this squad of guys have been a dominating force with incredible dedication to the game and with the top eight finish at Six invitational 2018 we feel like this can be the start of a new dynasty team in Australian Esports. The Asia-Pacific Finals kick off on Saturday April 14 at 10AM AEST (midday NZT) on the official Rainbow Six Twitch channel.